Why Does The RV AC Won’t Turn On? RV Air Conditioner Won’t Turn On: How to Diagnose the Problems? Planning for a long road trip to enjoy the sunny summer days? Make sure that the air conditioning system is working fine. Why? It is because you won’t last even an hour without it on those balmy days and nights. If you don’t want to sweat out during your fun summer trip, check the AC to secure enough supply of sweet, cool air. But, what to do if you find that the RV air conditioner won’t turn on? Shall you go to a mechanic or try yourself to track the problem down? The best RV air conditioner units are designed to run for at least 10 to 20 years. But, depending on the weather conditions and the maintenance schedules, even the most reliable units may stop functioning before the due time. Remember that regular upkeep and checkups can save you from expensive repairs down the road. 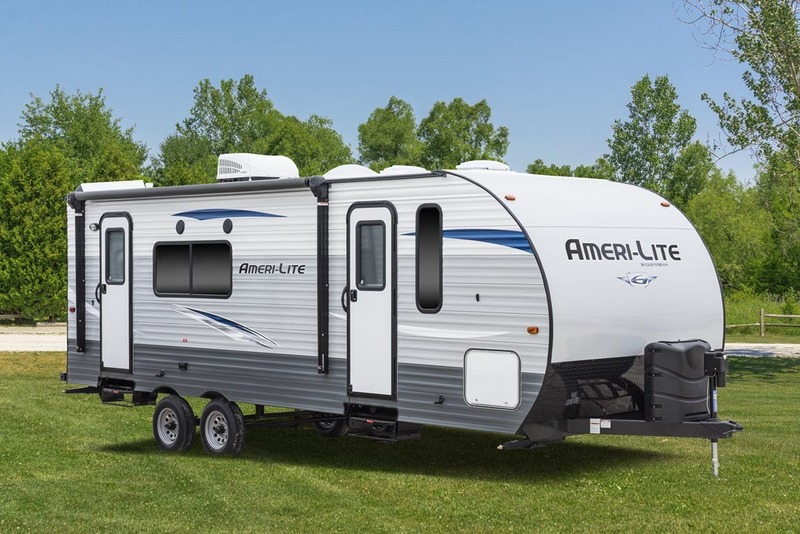 Some of the best AC units for RV are Coleman Mach 15+ A/C Unit, Dometic Penguin Low Profile RV AC, Dometic Brisk Air II, Coleman Mach 8 Cub, and more. Lack of upkeep can ruin even the best AC unit. Unless it is a serious trouble and needs professional attention, you can solve most issues regarding RV AC not turning on by yourself. These troubleshooting and repair techniques are for non-techy people. 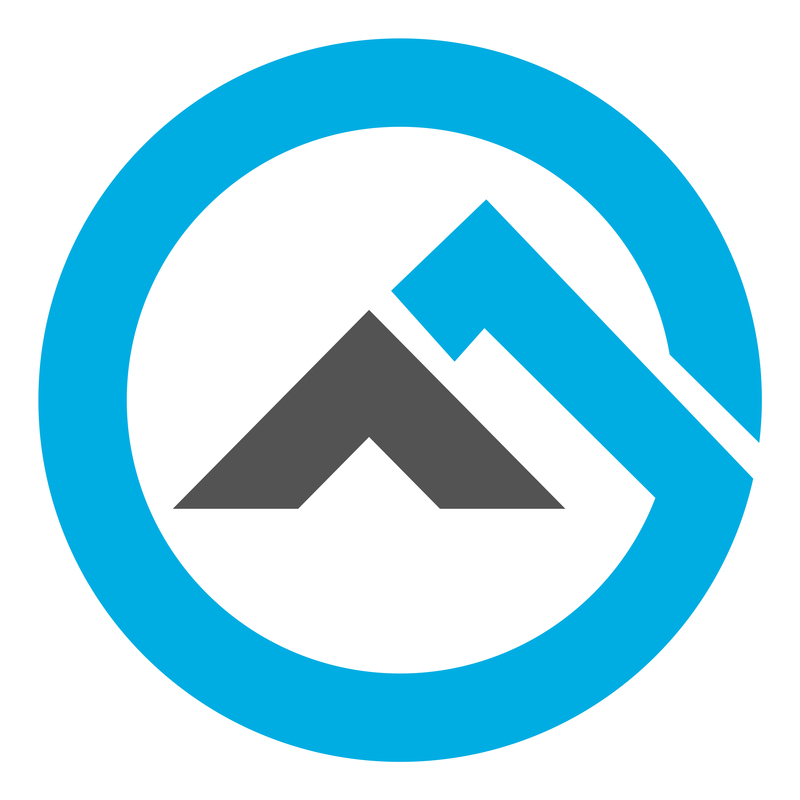 Try to pinpoint the root cause when the RV air conditioner won’t turn on. When the condenser does not turn on at all, it could either be a malfunctioning motor or a faulty power supply. Make sure that the unit is plugged in and check all the wiring. The most common reason for the AC not receiving any power is a damaged generator. Obviously, you won’t do it on purpose but a fried generator is basically your fault. You have probably run the washing machine or the microwave when the AC was on. 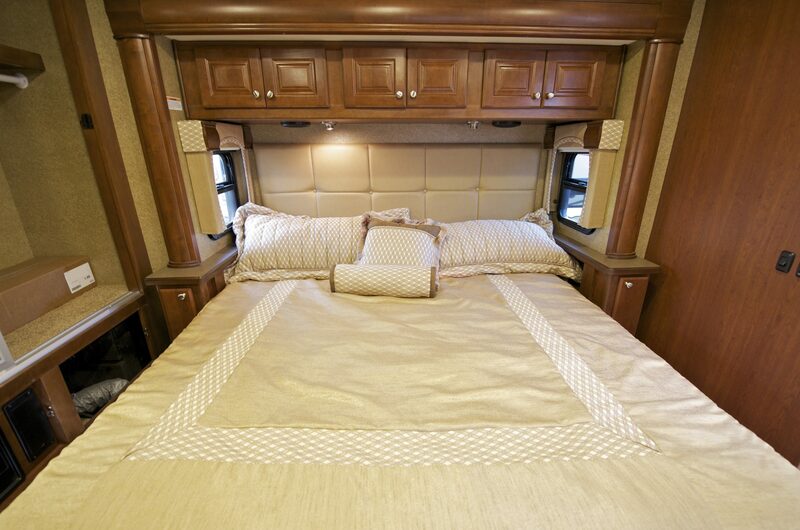 The generator in an RV has a limited capacity and it cannot handle when you run more than one high-wattage devices. Purchase a generator that is at least 3,100 watts, and never again switch on a high-wattage machine when the AC is on. Another way to fry up the generator is to set the AC at a very low temperature like 60 to 50°F. Why would anyone do that? Things will get pretty cold to the point of being frosty at that temperature. Many RVers do that to check if the thermostat is perfectly working. But, most generators are not designed to handle temperature below 60°F. So, if you are checking the thermostat, it will get colder in the RV and the AC will stop working all on a sudden. You can access the AC through the roof. Sometimes, the air conditioner sets off but does not produce any cool air. The thermostat is likely to be the culprit in this case as it happens when it is not set at the correct temperature. Another reason could be the dirt buildup inside the condenser and evaporator. Another reason for the RV air conditioner won’t turn on is a technical glitch in the control board. Check the wiring and connections in and out of the board. The AC won’t run if any of them is broken, loose, or burnt. A frayed or loose wire can be fixed easily. In case of burning, you are supposed to get a distinct smell. Just look for something out of ordinary. If you have no experience of fixing wiring and electrical boards, seek the assistance of an electrician. Go to the room and remove the cover of the AC unit. 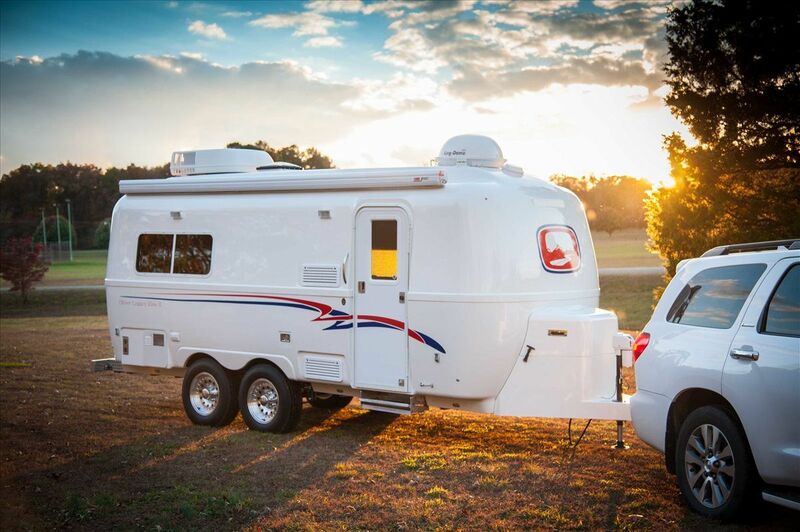 Examine the RV electrical elements for any visible damage or loose wires. Check the power to the motor with a voltmeter and see if the readings are normal or not. If there is a loss of continuity, it must be a corroded, frayed, or loose connection. You have to find the problematic connection and repair it. If it feels too dangerous or you don’t have the proper knowledge, contact a professional mechanic. You have spent money on the best AC unit in the market only to see it stop working after a few years because too much dirt clogs its vital parts. Shame! There won’t be any sudden incident of RV air conditioner won’t turn on if you regularly clean a handful of components. Condenser coils – Condenser is the component that mainly provides the cold air. 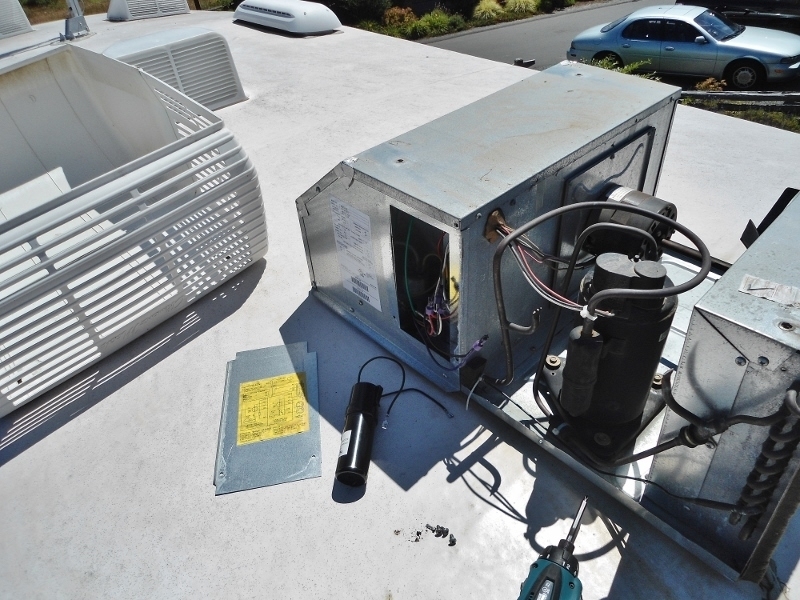 Its coils and other parts can accumulate dirt, tree leaves, and debris, leading to the failure of the AC system. 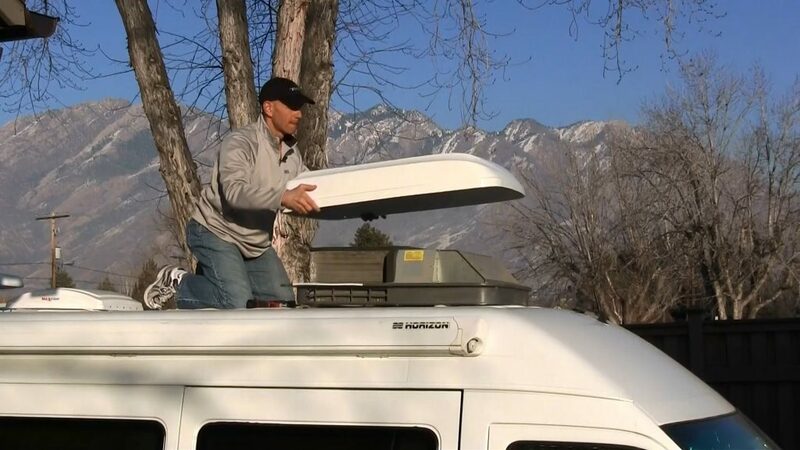 Access the condenser through your RV roof and remove the top cover of the AC unit by loosening the bolts. Use condenser coil cleaner and small, handheld vacuum to clean all the parts and do it at least twice per year to prevent the AC stop running. Extreme clogging will cause the AC to turn on and off repeatedly. It may even lead to the complete shutdown of the unit. Evaporator coils – You will find them underneath the filters. Use a soft bristle brush and a small, handheld vacuum for a proper cleanup. The Filters – You should change or clean the filters at least once per month to prevent the problem of RV air conditioner won’t turn on. Some filters are disposable and others are suitable for cleaning with soapy water. Regular cleaning and maintenance is necessary. Protect from dust – when you don’t use the AC, like in the colder months, cover it properly with a piece of plastic or fabric. Even a cheap dust over can keep it running for the next season. 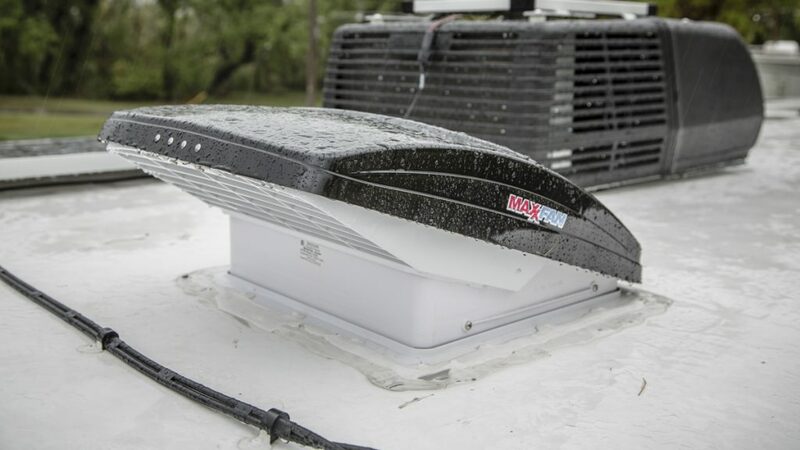 Aerate the roof vent – Airing out the vent from time to time will keep the unit free of dirty ingredients and dry out excessive moisture. Oil the fan – Dry fan could be another reason for RV air conditioner won’t turn on. It is necessary to lubricate the part and keep the AC running without any hiccup. Remember that you have to purchase the right fan oil for this task. A cheap product will degrade the components over time.